Two-time Tony-nominated actor Brandon Victor Dixon (Hamilton) is among the new stars who have been added to the highly anticipated TV presentation of Jesus Christ Superstar Live in Concert. Dixon will play the role of Judas in the new version of Andrew Lloyd Webber and Tim Rice's musical, slated to air on Easter Sunday, April 1 on NBC. 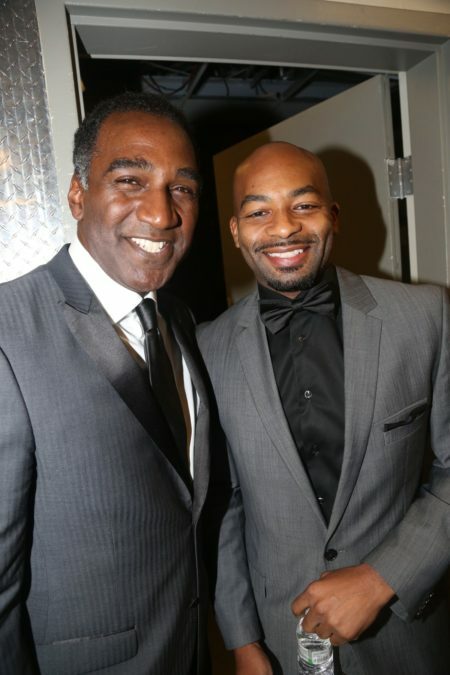 Also new to the company are Tony nominees Norm Lewis (Once On This Island) and Ben Daniels (Les Liaisons Dangereuses) as Caiaphas and Pontius Pilate, respectively. Broadway alum Jason Tam (If/Then) will play Peter with Jin Ha (M. Butterfly) as Annas. Swedish rocker Erik Gronwall completes the cast as Simon Zealotes. Five-time Tony nominee David Leveaux will direct the live event. As previously announced, Jesus Christ Superstar Live in Concert will also feature Tony winner John Legend in the title role with Alice Cooper as King Herod and Tony-nominated Waitress creator and star Sara Bareilles as Mary Magdalene. Jesus Christ Superstar Live in Concert will be filmed in front of a live audience at the Marcy Armory in Brooklyn, NY.